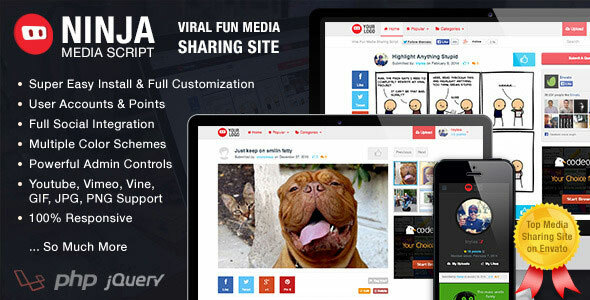 Ninja Media Script is a Viral Fun Media Sharing Script. This script is so easy to install and customize to make it your own. Users can sign up with Facebook, Google, or Email. This script allows users to upload and like Videos, GIFs, and any other kind of images. Full video support for YouTube, Vimeo, and Vine.